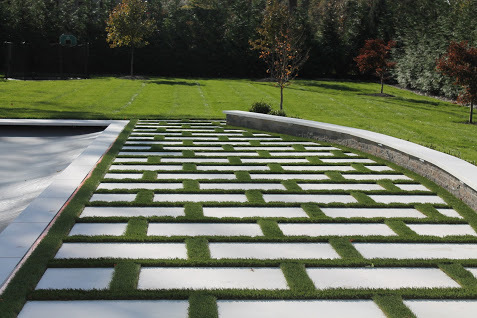 Landscape Design in Wesley Hills, New York - Curti's Landscaping, Inc.
A harmonious landscape design delicately balances softscape and hardscape. Softscape is everything “soft” in the yard, i.e., plants, trees and grass. Hardscape is all the “hard” features like patios, walkways, and pool decks. For over 30 years, Curti’s Landscaping has been designing and installing beautifully balanced landscapes for homeowners and businesses. We invite you to peruse our Portfolio. 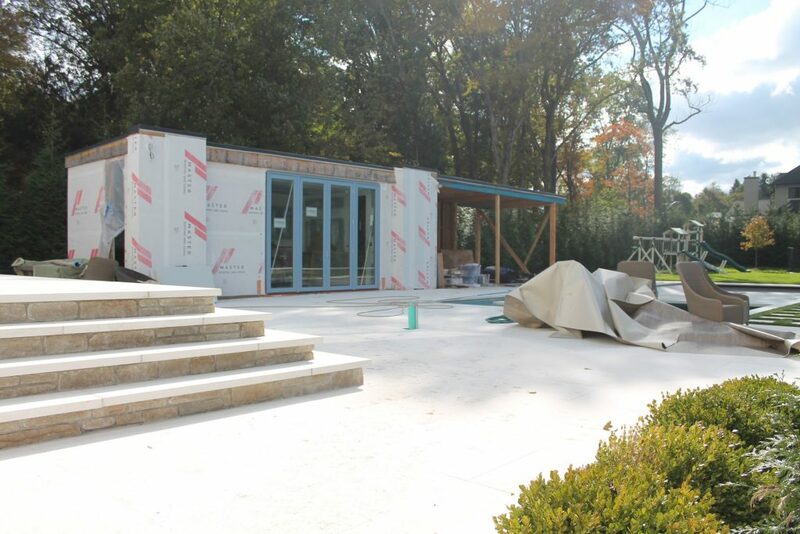 This residential project in Wesley Hills, New York, with a combo hard/soft patio, is one example of our work. We transformed a regular lawn into an outdoor entertaining and living space, while maintaining plenty of play area. The sloped property required a significant amount of prep work before we could start on the hardscape and softscape. We graded the rear yard, removed an existing gravel access road, disposed of all debris, and installed screened topsoil for a smooth surface. To simplify landscape maintenance for the homeowners, we also added a sprinkler system, as well as drip irrigation in specific areas. Drainage was also addressed. A French drain, two drywells, and a channel drain were installed to whisk away water. The hardscape features play a major part in this landscape design. 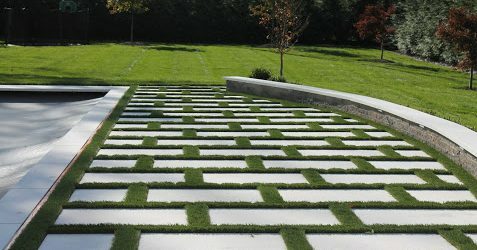 A strong focus is on the stunning raised marble and grass patio. It blends the look of living plants with the beauty of natural stone. 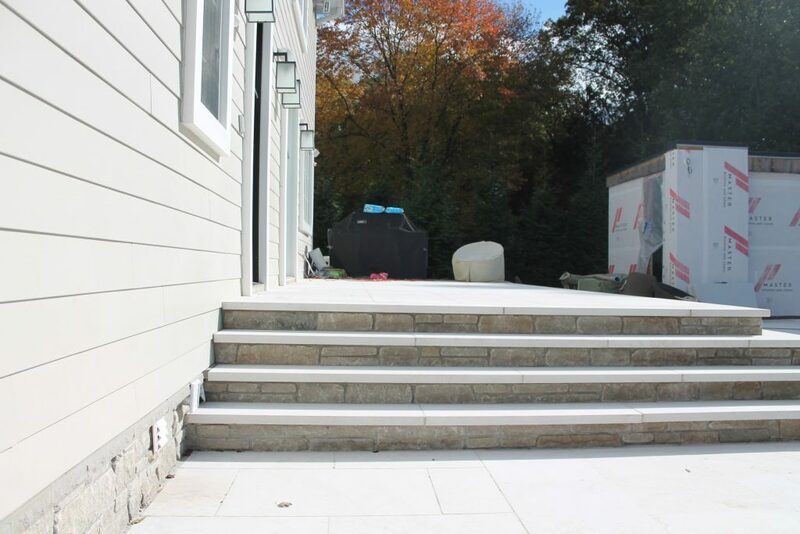 The stone outdoor décor was carried over to a retaining wall that encases the patio, marble step treads, and cultured stone step risers to match the home’s foundation. The marble stone from the patio was also installed as the pool decking and pool patio. Lastly, came the softscape. While we replaced most of the existing plants, we relocated and replanted some larger of the larger shrubs and trees. We also installed Kentucky Blue Sod for a green, lush yard. 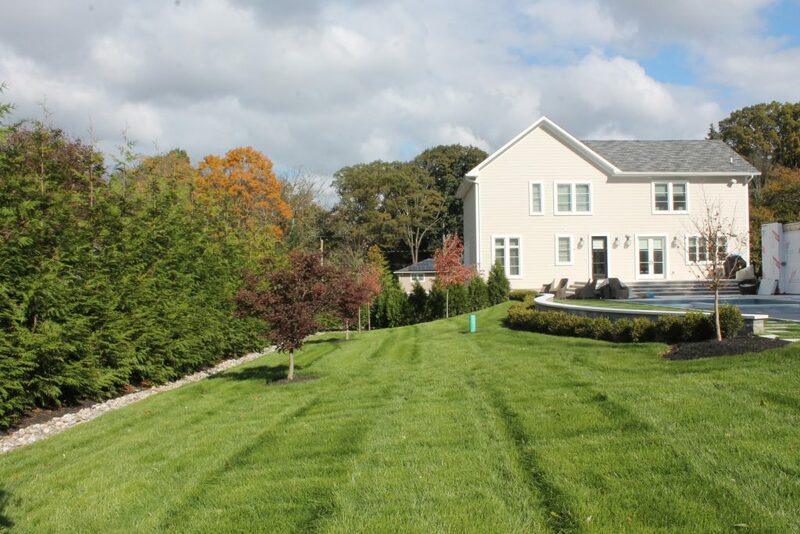 If you live in the Bergen County and Rockland County area and are considering a new landscape design, installation or renovation, give us a call. Our designers are ready to help transform your outdoor space.